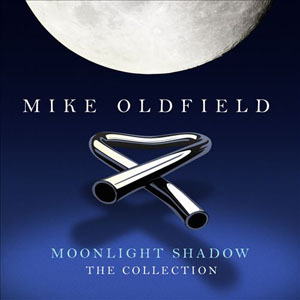 As one of popular music’s supreme musical technicians – a man who mastered everything from the Farsifa organ to the flageolet on his groundbreaking 1973 debut, Tubular Bells – it strikes me as endearingly primitive that Mike Oldfield still rolls his own cigarettes. Chatting affably via Skype from his home in the Bahamas, he frequently ducks beneath his webcam’s gaze to rout through a packet of tobacco. The old school smokes tie in rather tidily with his return to vintage rock on his twenty-fifth studio album: “Man on the Rocks”. The burst of new songs took him by surprise: he thought that 2008’s orchestral album Music of the Spheres, might have been his last. But he was reinvigorated by his performance at the London 2012 Olympics Opening Ceremony, where he provided the soundtrack to the NHS section, reworking Tubular Bells in a giddy, swing style. Despite his reclusive nature he found playing for a global audience of 900 million exhilarating. Oldfield got the biggest career boost of all the artists who performed that night: at HMV, sales of Tubular Bells rose by 757 per cent overnight. He pays tribute to the experience on a track from the new album called “Following the Angels”, but most of the record’s guitar-driven 70s swagger spiralled out of hurricane Irene, which battered his home in the summer of 2011. Pouting and snarling in drainpipes and beads like an upstart hybrid of Mick Jagger and Freddie Mercury (with a dash of Mighty Boosh comedian Noel Fielding) you can watch 23-year-old Spiller in action in the video to new single, ‘Sailing” which was shot on board Oldfield’s 68 foot yacht, The Seadragon. As they slice through the turquoise, Oldfield leans against the rail with his guitar: in his element with the combination of precision engineering and expansive isolation. In recent years he’s told numerous interviewers that he created the famous phrase from Tubular Bells by flipping Bach’s Toccata and Fugue in D Minor upside down. But today he’s dismissive of the idea. “That’s not really it. It’s similar to the Toccata, which I’ve always liked. 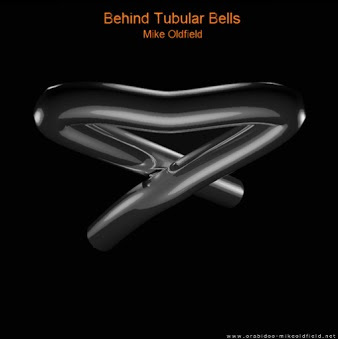 But it’s not really the same tune upside down.” These days Oldfield attributes much of Tubular Bells’ success to its unusual key signature: “Most music is in 4/4 time, but that curious little figure at the beginning is in 15/8. It’s like a puzzle with a little bit missing. That’s why it sticks in the brain. And that’s why it worked so well as the soundtrack to The Exorcist – with that little bit missing everything is not quite right.” Not a fan of horror movies, Oldfield himself didn’t see the film until fifteen years after it’s release and, at some points, found himself the only person laughing in the cinema. Although Oldfield grew to resent the terms of his 30-year contract with Virgin, he says he and Branson are good friends these days. “We came back here and got drunk together and listened to all kinds of odd music. He likes the jokey little ditties I did rather than the big works: In Dulci Jubilo (1975) and Portsmouth 1976.” They’re both Oldfield’s highest charting singles hits.